Visitors Pass Register: Bound book containing 250 Visitors Pass slips, 25 to view. 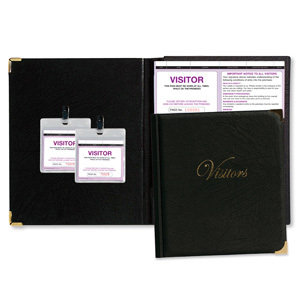 Visitors Pass Binder: Quality black padded binder, gold blocked “Visitors” with protective brass corners. 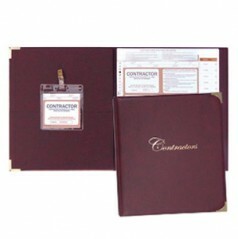 Built in writing plate forms part of the binder. Visitors Pass Plastic Wallet: Special plastic wallet (with clip) to hold Visitors Pass slip.